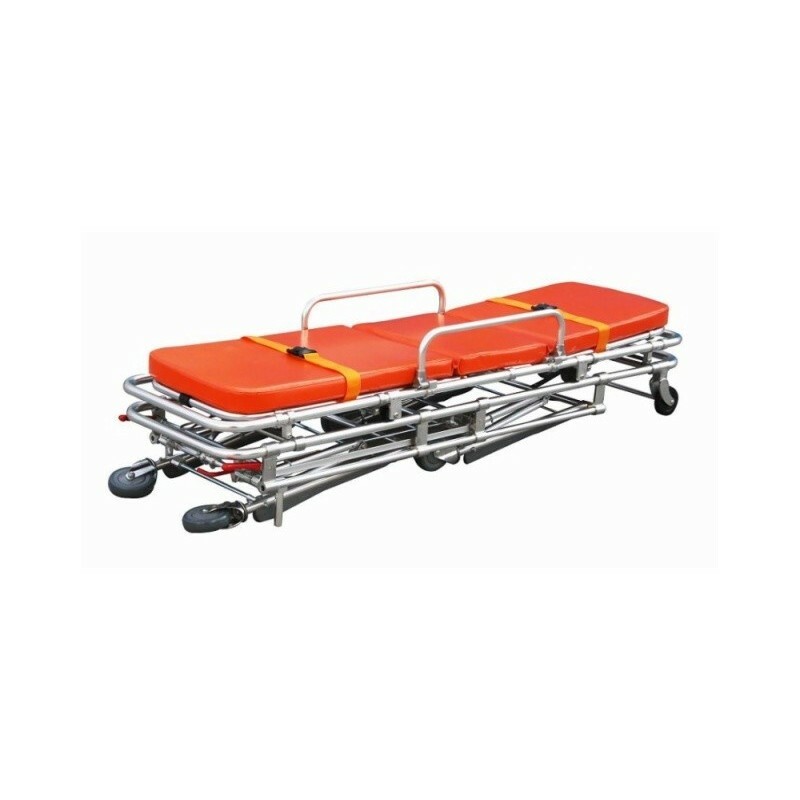 These automatic loading ambulance stretchers are made from high-strength aluminum alloy. The foam cushion and the adjustable back, allow the maximum comfort. 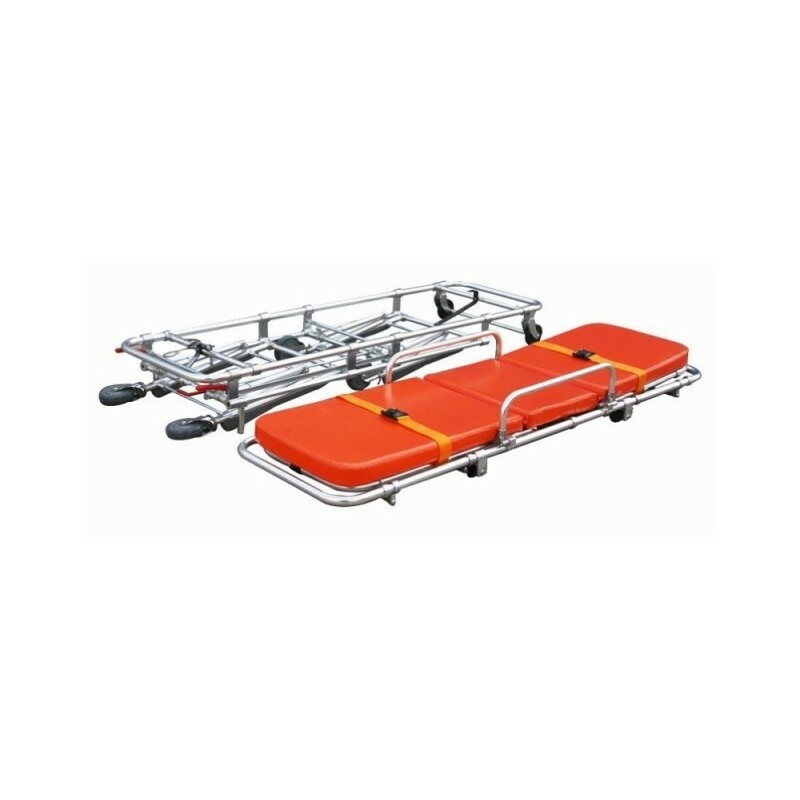 It is easy to operate, one person can operate and send the patient (with this stretcher) to the ambulance vehicle. 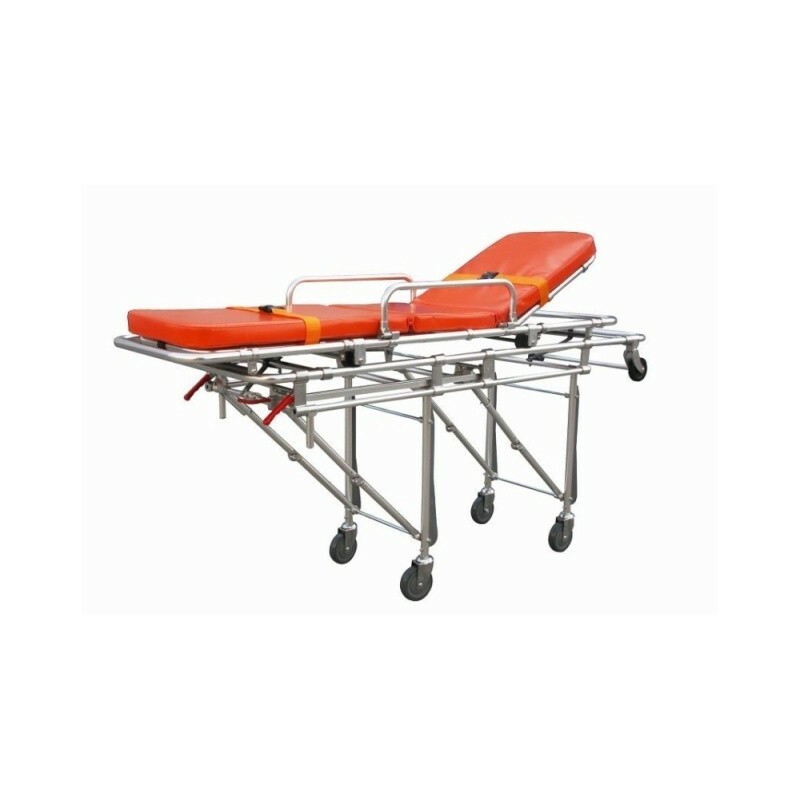 The mechanical foldaway legs are controlled by the handles on one end of the stretcher. 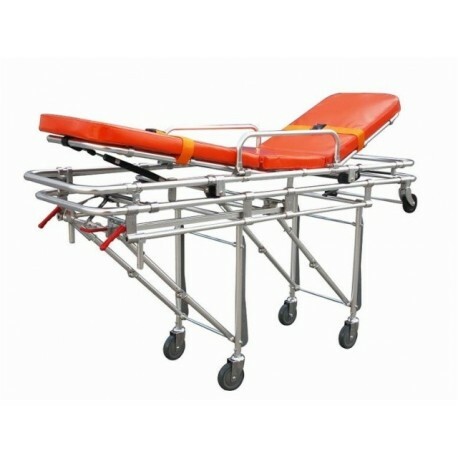 And the legs can be folded under the stretcher automatically when loading onto the vehicle. 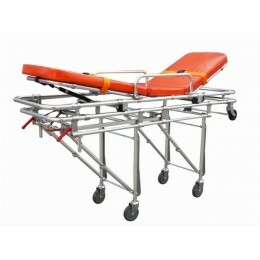 Also the stretcher can be locked by the security devices on the ambulance vehicle. 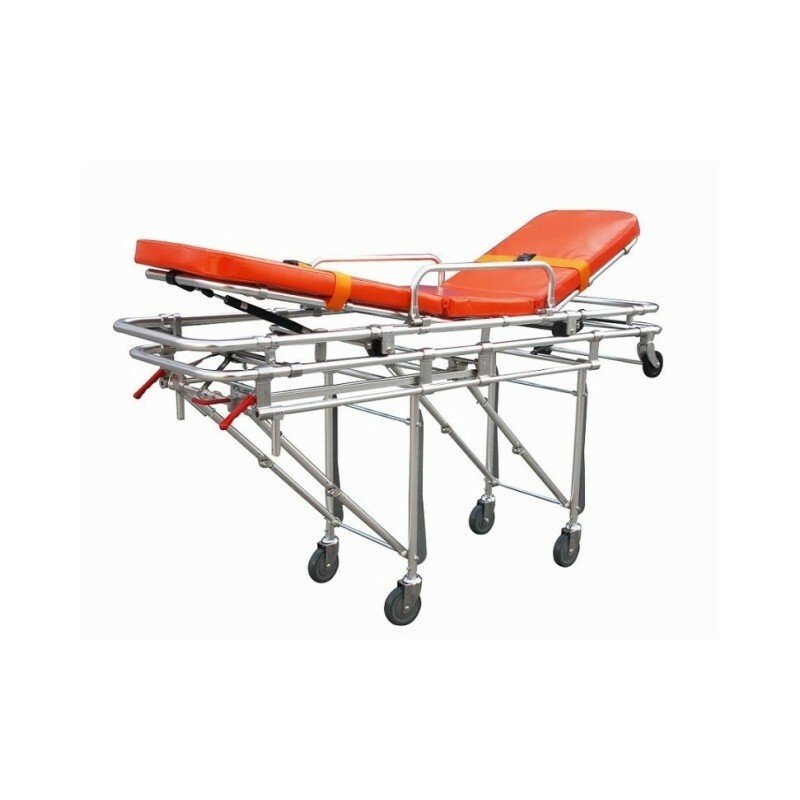 This type of stretcher can be characterized as light weight, durable, safe and easy to operate.